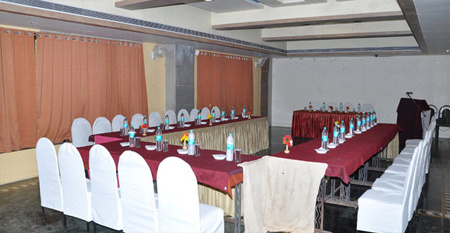 Leo Resorts is a popular resort built in the lap of the Girnar hills where the guests come, and enjoy a healthy stay in natural and historic way. 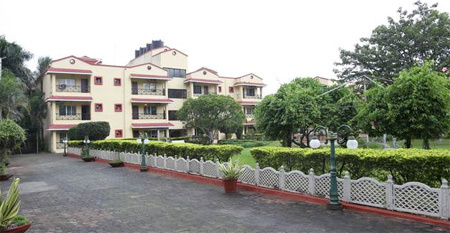 Leo Resort is sprawled in 15000 Sq Mtr lush green land. This town is a perfect example of an eclectic blend of traditional and western culture. When translated, Junagadh signifies "Old Fort". It's also recognized as "Sorath". 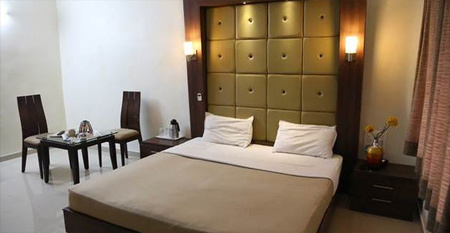 The hotel is perfectly suitable for leisure travelers who can stay here amidst necessary comfort and modern amenities. Some of the major hotel facilities available here are. Deluxe Room: An ideal living space for business or leisure travelers, the Deluxe Rooms over look a dynamic city view, garden view or pool view. 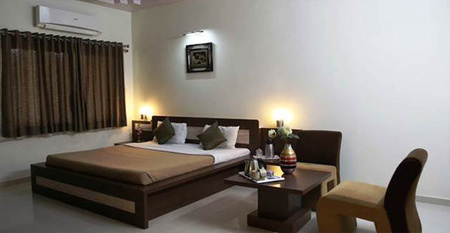 Super Deluxe Rooms: SUPER DELUXE rooms feature a contemporary design & flair. 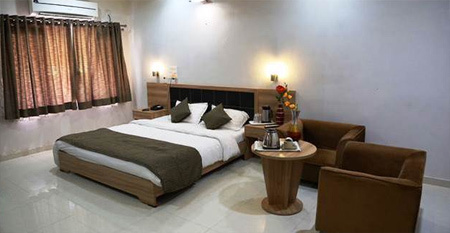 The hotel provides all modern and sophisticated facilities to provide the guests with optimum satisfaction in this SUPER DELUXE category room. 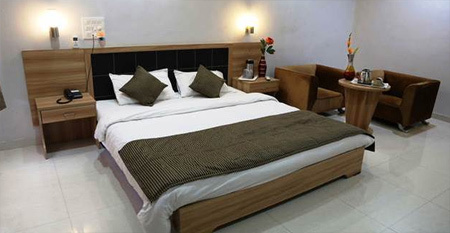 The super deluxe are elegantly and spaciously crafted exotic rooms are the best for family. 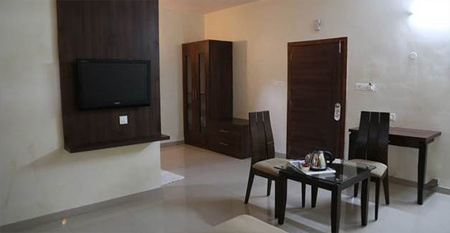 This stylish accommodation is replete with numerous features & best interiors. This mixture of beauty will never let the guests forget their stay with the hotel. 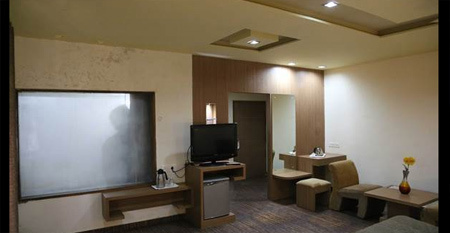 Suite Rooms: Suites offer multiple rooms, with more space and furniture than a standard hotel room. In addition to one or more beds and bedroom fixtures, a suite includes a living room or sitting room, sometimes with a couch that converts into a bed. Dining, office and kitchen facilities are also added in many suites. The distance of Leo Resort from Junagadh railway station is 1.8 km, from bus stand is 2 Km and 2.5 km from Junagadh airport.